Claudia Bishop's perfect life fell apart when the aftermath of a brutal assault left her with a crumbling marriage, a newborn daughter, and a constant sense of anxiety about the world around her. 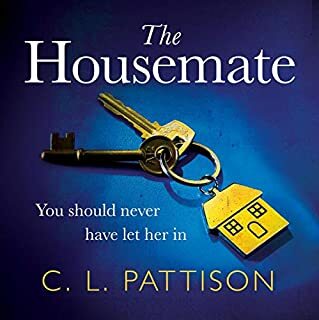 Now, looking for a fresh start with a home restoration project and growing blog, Claudia takes on a crumbling old house - one that, unbeknownst to her, has an ugly history and may hide long-buried secrets. On the surface, Annie Powers' life in a wealthy Floridian suburb is happy and idyllic. Her husband, Gray, loves her fiercely; together, they dote on their beautiful young daughter, Victory. But the bubble surrounding Annie is pricked when she senses that the demons of her past have resurfaced and, to her horror, are now creeping up on her. For as long as she can remember, 20-year-old Finley Montgomery has been able to see into the future. She dreams about events before they occur and sees beyond the physical world, unconsciously using her power to make supernatural things happen. But Finley can't control these powers - and there's only one person who can help. So Finley moves to The Hollows, a small town in upstate New York where her grandmother lives, a renowned seer who can finally teach Finley how to use her gift. The housemate. She's here to stay.... You've let a stranger into your home. You don't know her secrets. You don't know what she wants. Megan and Chloe have found the perfect house. And when they meet Sammi, she seems like the perfect housemate to share it with. It could be the beginning of a brilliant friendship. But Megan isn't so sure about this new girl. She knows they need to be careful about whom they invite in. 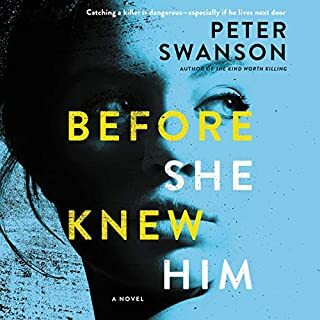 Because once she's in, she's here to stay.... A brilliant and gripping psychological thriller - perfect for fans of Louise Jensen, Jane Corry and Friend Request. What causes a woman to murder her family? Jo's idyllic life would make most people jealous. Until one day her daughter is abducted, and the only way to find her is to unravel her dark past. Ellie is a devoted wife...until she discovers the pain of betrayal. Now vengeance is all she can think about. Party girl Shayla knows how to hide her demons. But when she's confronted with a life-shattering choice, it will cost her everything. June knows suffering intimately, though the smile she wears keeps it hidden. Soon, the lives of these four women intersect, and one of them is about to snap. It’s been a year since Poppy’s husband, Jack, was brutally murdered during his morning run through Manhattan’s Riverside Park. In the immediate aftermath, Poppy spiraled into an oblivion of grief, disappearing for several days only to turn up ragged and confused wearing a tight red dress she didn’t recognize. What happened to Poppy during those lost days? And more importantly, what happened to Jack? The case was never solved, and Poppy has finally begun to move on. But those lost days have never stopped haunting her. There's a stranger living in Kimber Hannon's house. He tells the police that he has every right to be there, and he has the paperwork to prove it. But Kimber definitely didn't invite this man to move in. He tells her that he knows something about her, and he wants everyone else to know it too. "I was there. I saw what you did." These words reveal a connection to Kimber's distant past, and dark secrets she'd long ago left buried. This trespasser isn't after anything as simple as her money or her charming Craftsman bungalow. "Your daughter is dead." When Kat Cavanaugh hears the words every mother dreads, her perfect world shatters. She takes in the beautiful long blonde hair, torn yellow dress, and chipped blue nail-varnish. It can’t be real. And then the police add the word "suicide". But Kat refuses to believe them. Even when they show her the familiar looping handwriting and smudged ink on the note her little girl left behind. She knows her bubbly, vivacious daughter would never take her own life. Dr. Daniel Winters has a beachfront home in Malibu, a career as a respected pediatrician, and a gorgeous new wife, Mia. For a man whose past was rife with mental illness, addiction, and thoughts of suicide, it seems too good to be true. Then Daniel learns that a fellow pediatrician and his family were found slaughtered in their home. It’s just the first chip in the facade of Daniel’s perfect life. Little by little, everything starts to fall away. At work, his career becomes at risk when he’s asked to remain silent about a dangerous new drug. At home, Mia has gone from an affectionate newlywed to a mysterious woman carefully hiding secrets. Twenty years ago, Melanie Stokes was abandoned in a Boston hospital, then adopted by a wealthy young couple. Gifted with loving parents, a doting brother, and an indulgent uncle, Melanie has always considered herself lucky. Until the first cryptic, threatening note arrives: “You Get What You Deserve.” Melanie has no memory of her life before the adoption. Now someone wants her to remember it all - even the darkest nightmare the Stokes family ever faced: the murder of their first daughter. The childhood murder of Lydia Strong’s mother has turned her into a woman obsessed with bringing brutal killers to justice. The reclusive, best-selling true-crime writer and investigative consultant has made a life out of chasing monsters. And her powerful intuitions rarely fail her. When three adults - loners, drifters - go missing, no one seems to notice except for Lydia. Enlisting the help of her friend, former FBI agent Jeffrey Mark, Lydia starts an investigation of her own. On their first date back in law school, Natalie and Will Clarke bonded over drinks, dinner, and whether they could get away with murder. Now married, they’ll put the latter to the test when an unchecked danger in their community places their son in jeopardy. Working as a criminal defense attorney, Nat refuses to rely on the broken legal system to keep her family safe. She knows that if you want justice...you have to get it yourself. I never wanted it to end! Isabel Raine thought she had everything - a successful career, a supportive family, and a happy marriage to the man she loved. Then one ordinary morning, her husband, Marcus, picks up his briefcase, kisses her good-bye, and simply vanishes. That day, all her calls to him go straight to voice mail; the messages she leaves at his office go unreturned, too. Panicking after finally receiving a call from his cell phone in which all she can hear is a man's terrified cry, Isabel calls the police. Darkness has a way of creeping up when Ian is with Priss. Even when they were kids, playing in the woods of their small Upstate New York town, he could feel it. Still, Priss was his best friend, his salvation from the bullies who called him "loser" and "fatboy" - and from his family's deadly secrets. From her first day as personal assistant to the celebrated Mina Appleton, Christine Butcher understands what is expected of her. Absolute loyalty. Absolute discretion. For 20 years, Christine has been a most devoted servant, a silent witness to everything in Mina’s life. So quiet, you would hardly know she is there. Day after day, Christine has been there, invisible - watching, listening, absorbing all the secrets floating around her. Keeping them safe. Christine is trusted. But those years of loyalty and discretion come with a high price. And eventually, Christine will pay. 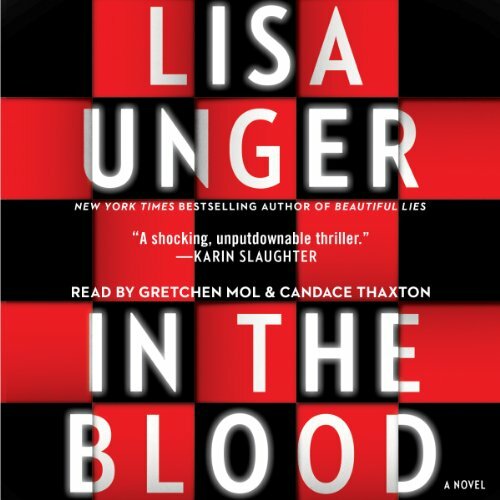 In the Blood is the Lisa Unger novel we've all been waiting for - and a return to the dark psychological suspense that made Beautiful Lies a bestseller around the world. Lana Granger lives a life of lies. She has told so many lies about where she comes from and who she is that the truth is like a cloudy nightmare she can’t quite recall. About to graduate from college and with her trust fund almost tapped out, she takes a job babysitting a troubled boy named Luke. Expelled from schools all over the country, the manipulative young Luke is accustomed to controlling the people in his life. But, in Lana, he may have met his match. Or has Lana met hers? 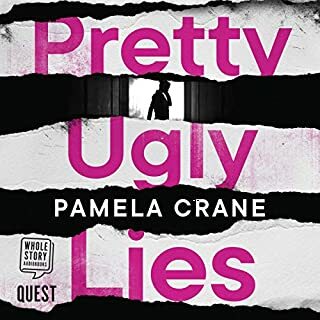 When Lana’s closest friend, Beck, mysteriously disappears, Lana resumes her lying ways—to friends, to the police, to herself. The police have a lot of questions for Lana when the story about her whereabouts the night Beck disappeared doesn’t jibe with eyewitness accounts. Lana will do anything to hide the truth, but it might not be enough to keep her ominous secrets buried: Someone else knows about Lana’s lies. And he’s dying to tell. 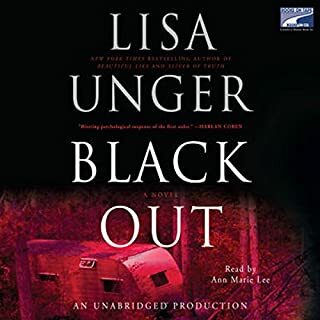 Lisa Unger's writing has been hailed as “sensational” (Publishers Weekly) and “sophisticated” (New York Daily News), with “gripping narrative and evocative, muscular prose” (Associated Press). 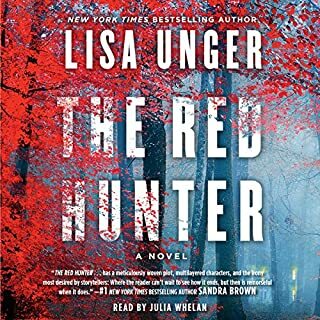 Masterfully suspenseful, finely crafted, and written with a no-holds-barred raw power, In the Blood is Unger at her best. Possibly the BEST psychological thriller EVER ! For me, there's nothing better than a thrilling mystery, and exciting story with lots of twists, turns, and surprises, but without all of the unnecessary gore. This was quite possibly the best psychological thriller I have ever read/ listened to. At first I thought the narrator wasn't quite right, but I quickly changed my mind. I was also pleased with myself for figuring some of "it" out early, but there was so much more! I can't recommend this one highly enough...well worth the credit! from page 1, this was a winner for me. It sucked me right in and kept me enthralled until I finished it in 2 listening sessions. 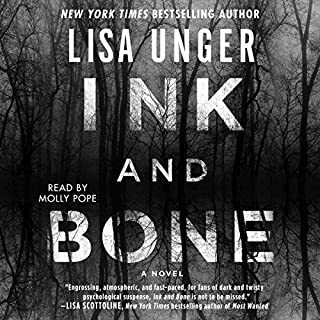 Lisa Unger has a magic ability to create a wonderful suspenseful tension in her writing that keeps you 'turning pages' well into the night. The narrators were nothing short of brilliant, especially the voice of 'Lana.' The two perfmormers brought the book to life and made the story perfectly believable. Can't recommend this book more highly for those who love good character development and psychological suspense. Can't wait for Unger's next delectable treat! If you could sum up In the Blood in three words, what would they be? Which character – as performed by Gretchen Mol and Candace Thaxton – was your favorite? This is one where the performances were great! Paced nicely and engaging tones. Who was the most memorable character of In the Blood and why? I am partial to psychological thrillers with twists, and add in evil children and I'm there! That being said, this had some cheesy turns of plot - but it was entertaining enough to get me through exercising! I couldn't stop listening and really enjoyed it. The last few chapters were preposterous but forgivable. What a delicious treat! A truly suspenseful, edge-of-your-seat, nail biter. And, it's not a revamp of a story that someone else told previously. Well worth the price. Definitely a 5-star winner. Congratulations to Ms. Unger and the narrators. This is my 2014 #1 Audible selection. Loved this book, I could not stop listening to it. The story was full of twists and turns till the very end. The characters where dark and twisted. 100% recommend this book to anyone who enjoys Mystery and Suspense Thrillers! I would, like I titled my review it was different than books I usually read, however it kept me very interested and it kept me guessing until the end. So to me that equals a good book! What was one of the most memorable moments of In the Blood? I listened to it in just 2 days. I will be reading more of Lisa Ungers books now! Has In the Blood turned you off from other books in this genre? I really am straining to review this book. For one thing the way it is written it forces the reader to pay close attention since it goes from the present to the past & back & forth. The book is in my opinion more depressing than intriguing which of course is only my opinion. It isn't that story does not compete with complicated story lines so that it would sell, but it made me feel depressed through the book because all it did was cover psychopathic behavior in children & adults, made comments about bad parenting, unhappy marriages, adds adultery, lesbianism, gender confusion & ends with murder. Even an unsolved murder. In my opinion too much! And as an educated mental health professional I found times I totally disagreed with the authors viewpoint as writtten. When I got done I asked myself what the book gave me & although the story weaved in & out of the main characters life I ended up thinking this book really did not offer answers or solutions to the problems & left me feeling down. That is why I probably would not give this book my highest rating. This is not to say the fans of this author would not enjoy it, but for me it left me feeling the world sucked for the most part & some people just kept on suffering. Not my cup of tea. Would you listen to another book narrated by Gretchen Mol and Candace Thaxon ? I thought the narrators did a good job with what they had. To me this is a good way to depress the reader. Great book, good story, good read! Are sociopaths born, or are they a product of their environment? Rachel has a son who is definitely a sociopath, going from school to school as he gets older, and facing the fact that her son is definitely not wired correctly. Rachel hires a babysitter who is in school to work with psychologically troubled children and hopes for a little relief from her constant dealings with her son. Her fear is, once he gets to be old enough, he'll kill her. The babysitter is very upset because her friend has disappeared, but she is determined to make this 'psycho kid' babysitting job work. However, things of course, are not as they appear. In The Blood is a very good read that will keep you engaged with many twists and turns. I would recommend this book to anyone who likes a good psychological thriller. Good book. Actually had an ending and didn't just cut off like a lot of books do.